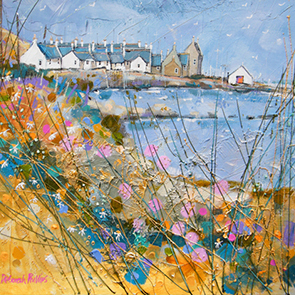 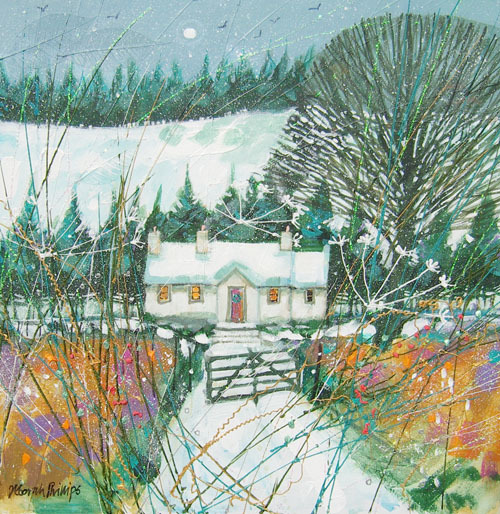 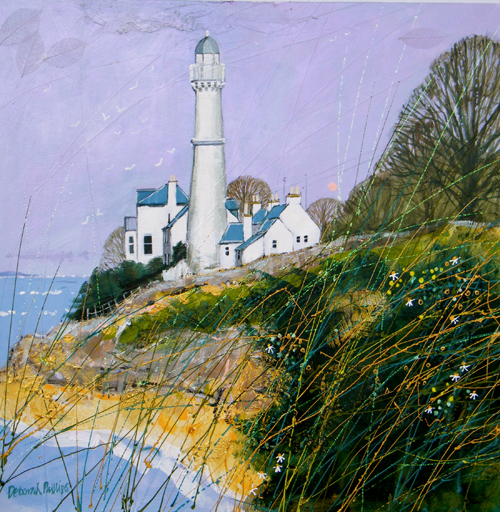 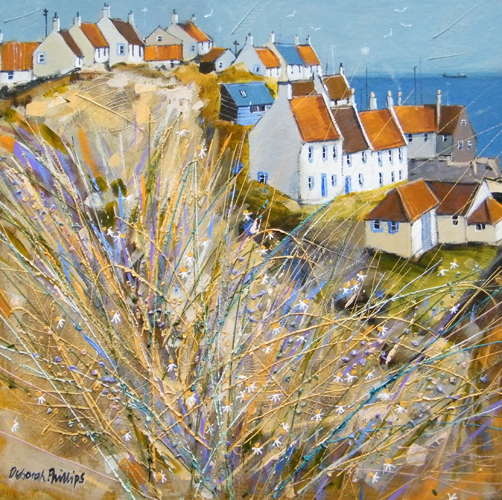 Born in Dundee, Deborah graduated from Duncan of Jordanstone College of Art in 1987, before working for periods with both The National Trust for Scotland, and Historic Scotland. 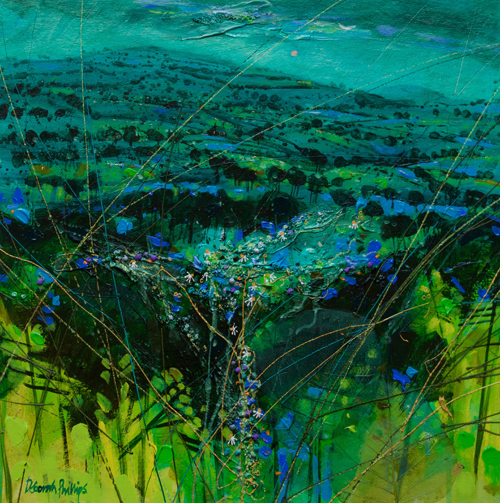 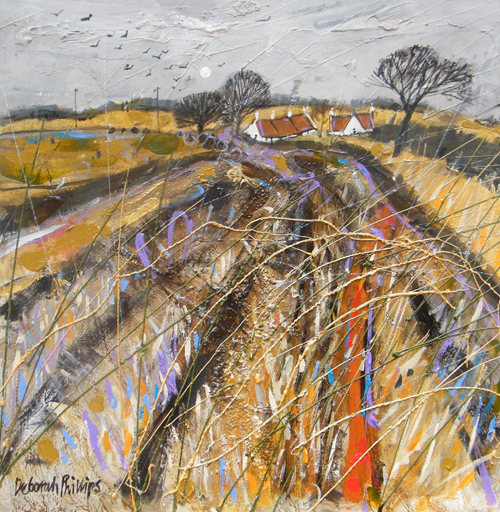 Like many artists in Scotland, Deborah’s paintings mirror her interest in the landscape, yet her work stands clearly apart from that of her contemporaries. 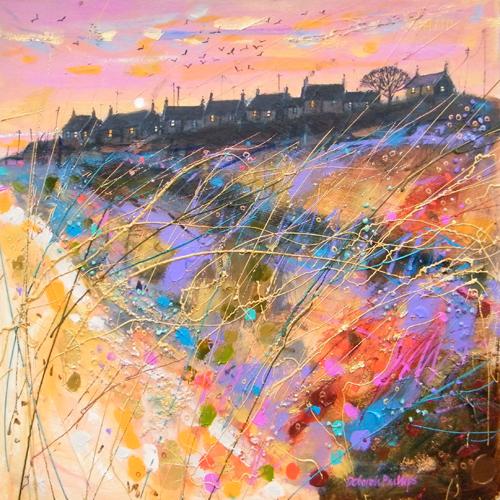  Through her unique and highly distinctive technique, she has developed a strong and recognisable signature style, constructing remarkable, shimmering mixed media pieces, which have become highly collected in galleries throughout the UK. 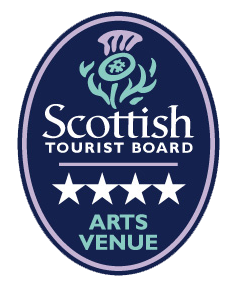 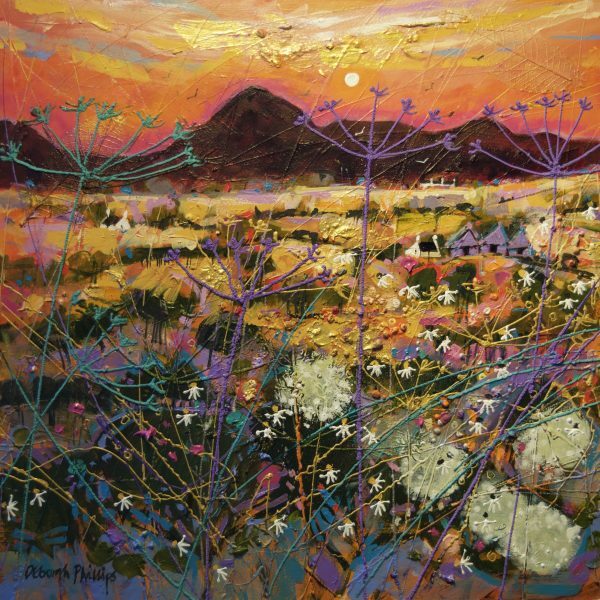 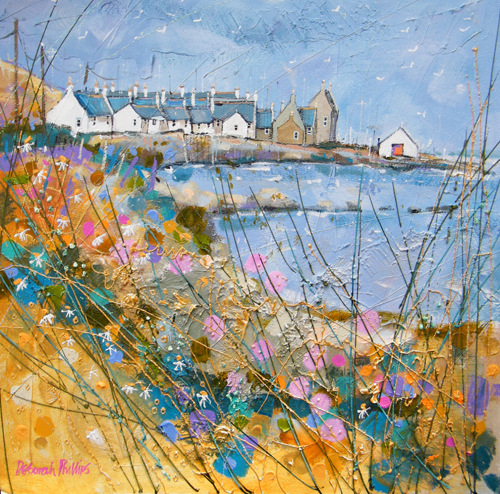 “I enjoy all aspects of creating a painting, from wandering the stunning Scottish landscape, to priming the board on which I will paint, squeezing paint from the tubes and watching it glisten on the palette, applying it in swathes before varnishing, framing and seeing finished on a gallery wall- every stage gives me a thrill”.